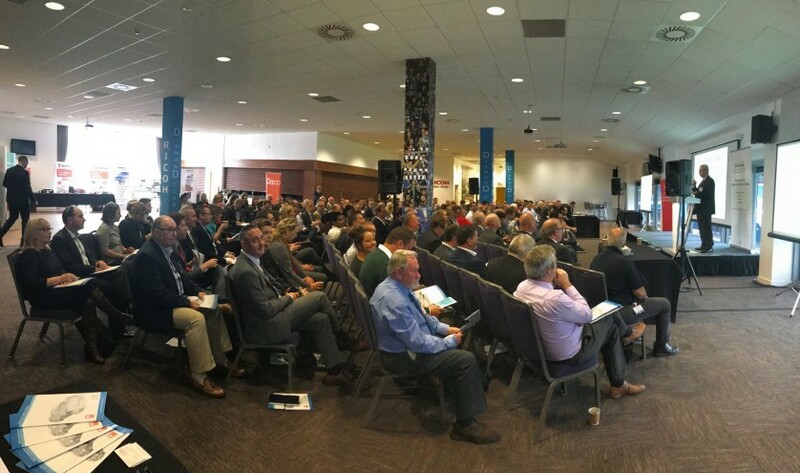 Project Metal were delighted to attend the Autolink 2017 event in Cardiff City Football Stadium, which was supported by the Welsh Automotive Forum, Industry Wales and the Welsh Government. The event hosted an array of inspirational speakers, outlining a range of issues from the trajectory for future transport, the current trends in the industry and the potential effects of Brexit on supply chains. Ken Skates, Cabinet Secretary for the Economy and Infrastructure, outlined the continued support available from Welsh Government, the further development and support to the Enterprise Zones and the success of securing Aston Martin in Wales. The events focus was on the future trends and challenges being faced by the automotive industry and challenged the industry to look at the products and systems it manufactures today and question whether they may or may not be required in the future. The event highlighted the pace of change in technology which will bring both significant challenges and opportunities for the supply chain in the industry. The overarching theme was that the automotive industry is an 'industry in transition'. With the target to move away from petrol and diesel-powered cars by 2040, there will be a significant need for innovation and the development of ultra-low emission vehicles using alternative materials and processes. The potential to develop alternative battery technology, hydrogen power and lightweight materials was raised. The move to autonomous vehicles and artificial intelligence was also highlighted with further developments being brought forward with the emergence of Apple, Google and Dyson entering the market. The need for the development of the necessary infrastructure was also discussed. The challenge is for the Automotive industry to accelerate from the tradition of today, and create an innovative and dynamic industry for tomorrow. Swansea University's METaL Project are available to support the innovation and development required in the industry. As an industry-demand led project, aimed at upskilling the workforce in Advanced Materials and Manufacturing, we provide short, accredited training courses which could be of great use in helping the Automotive industry with this transition. Click here for more information on the Welsh Automotive Forum, and their upcoming events.